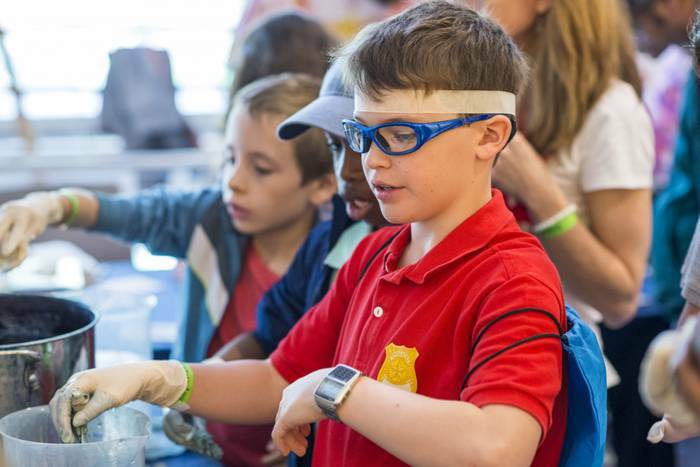 On May 5, for the fifth year in a row, more than a thousand people attended Science Saturday, Rockefeller’s annual science festival for kids. 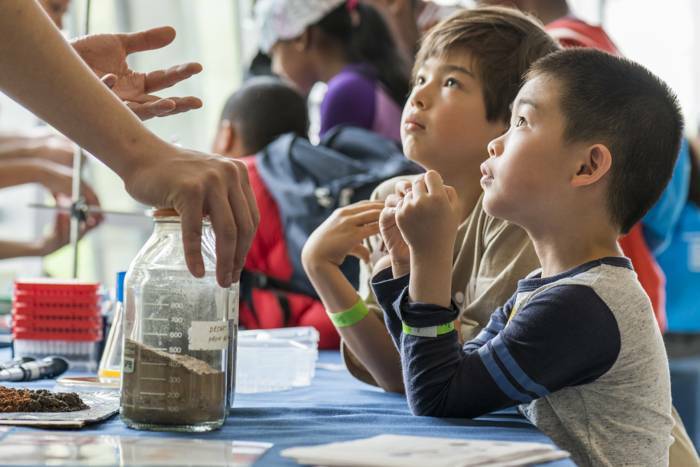 Presented by RockEDU Science Outreach and the Parents & Science initiative, the event included nearly 40 hands-on experiments and interactive demonstrations led by more than 145 scientists from Rockefeller and neighboring institutions. 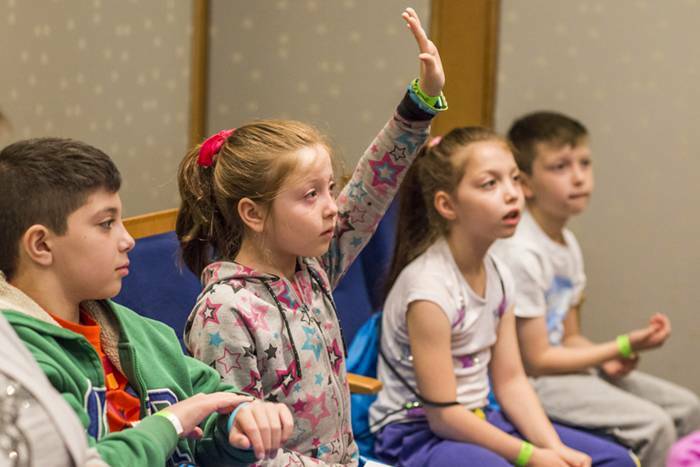 Special talks geared toward youngsters were given by neuroscientists Daniel Kronauer, the Stanley S. and Sydney R. Shuman Associate Professor, and Vanessa Ruta, the Gabrielle H. Reem and Herbert J. Kayden Associate Professor. There were also “Tours of Technology” enabling visitors to observe and experience the cutting-edge tools and resources used by Rockefeller scientists. As part of the university’s community outreach efforts, complimentary tickets were offered to under-resourced middle schools in New York City. See photos from the event below, watch videos of the talks given by Kronauer and Ruta, and follow Rockefeller’s Science Outreach program on Twitter and Facebook to learn about upcoming events. Students visited learning stations focused on chemistry, genetics, animal models, neuroscience, and technology. 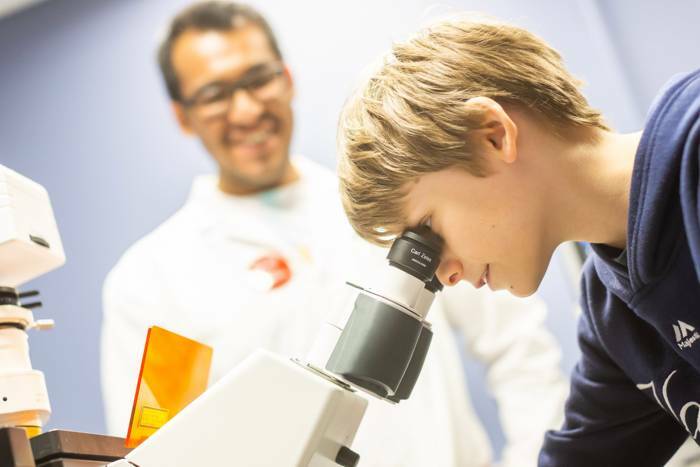 During “Tours of Technology,” students visited the Bio-Imaging Resource Center and peered into microscopy equipment. 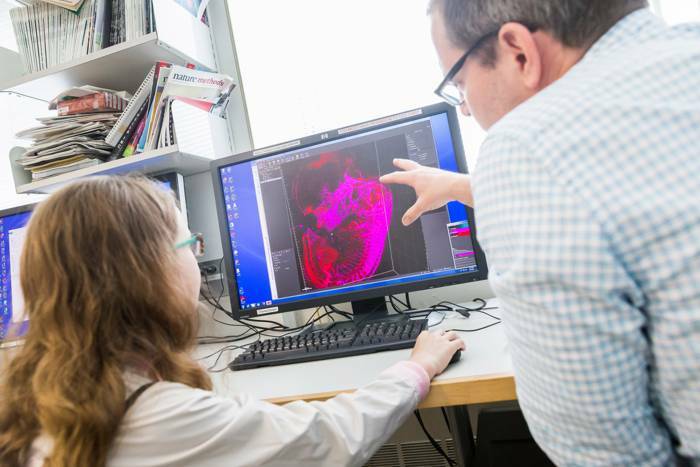 In the Bio-Imaging Resource Center, research associate Gist Croft guided children through the mysterious journey of a developing embryo. Students used Science Saturday passports to record their findings, just as real scientists use lab notebooks. 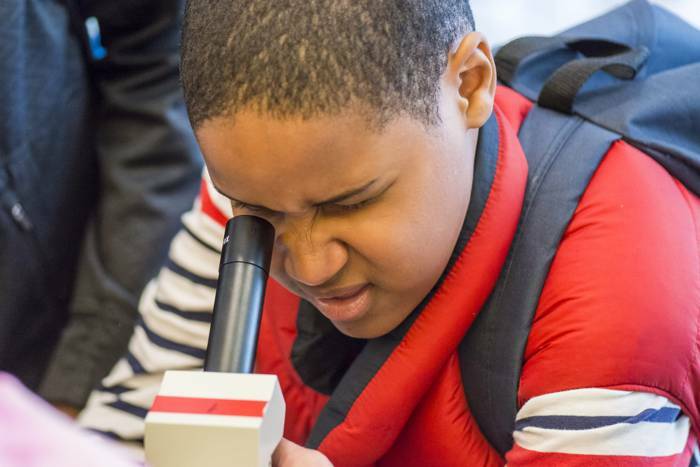 At the “Explore Hidden Worlds with Microscopy" station, students peered at live cells and learned to detect their moving parts. 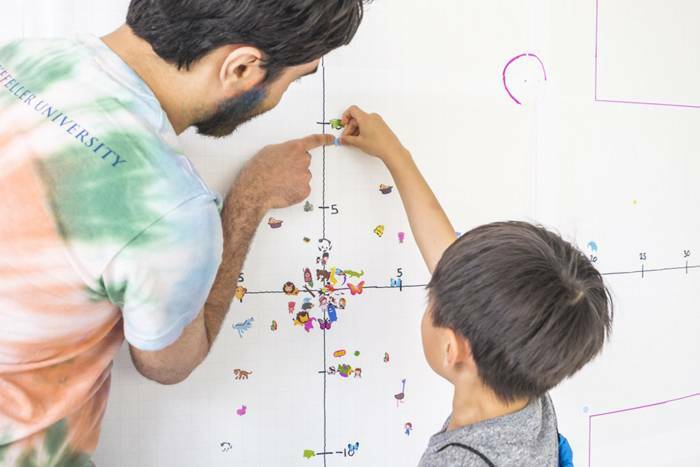 Children plotted their results at a station called "The Science of Knowing Your Surroundings," which showcased the neuroscience of how insects navigate the world. 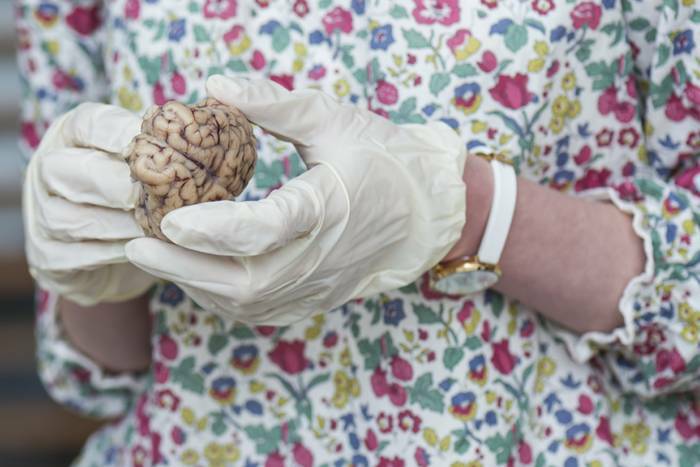 What, exactly, is a memory? 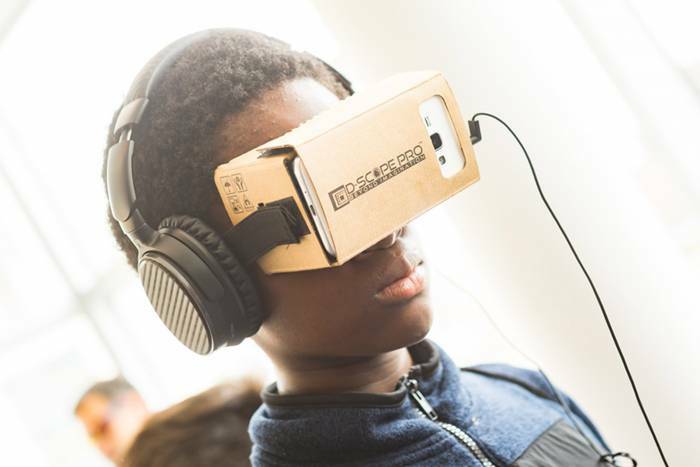 Students entered the realm of virtual reality to explore how the mind records our experiences—and why our memories aren’t always consistent with what actually happened. 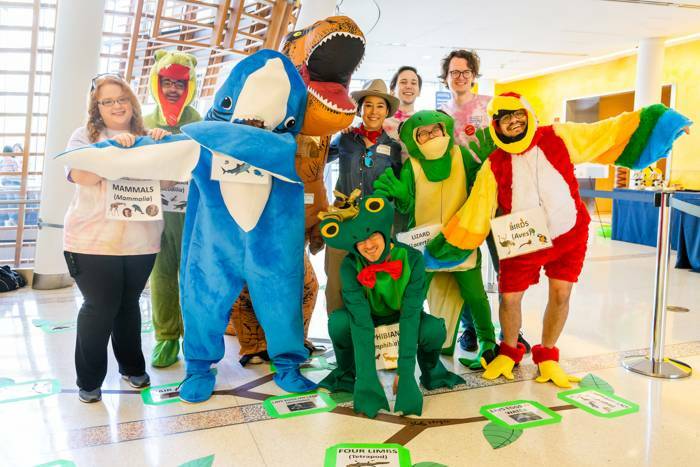 Children went on “A Journey through Evolution” with a fun cast of animal characters, learning how to read a phylogenetic tree and how specific traits define a species. 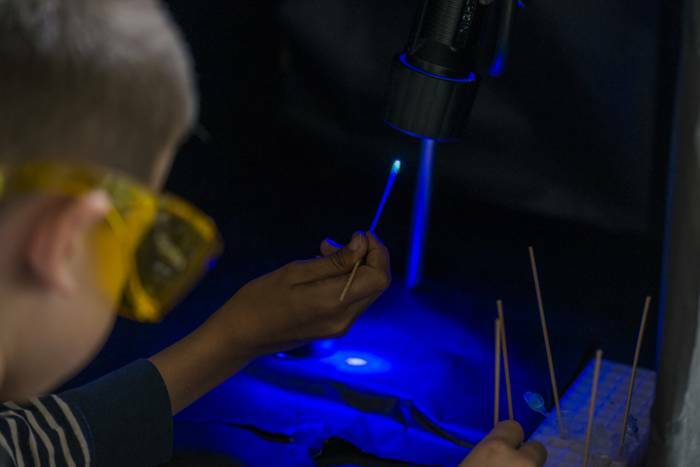 The "One Fish, Two Fish, Red Fish, Blue Fish" station showed how scientists use fluorescent zebrafish to understand human behavior and development. 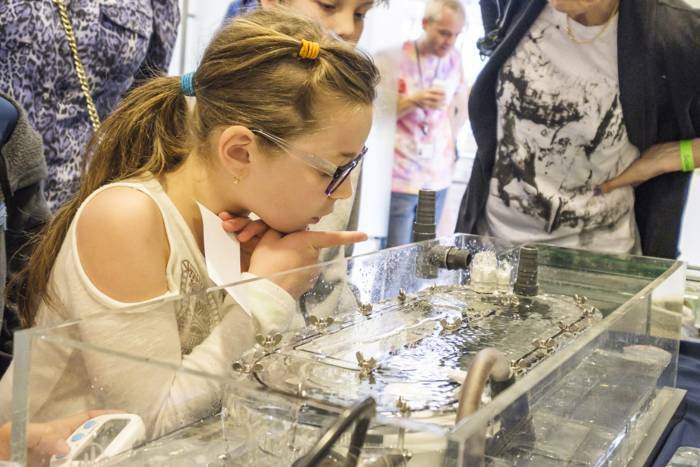 Some experiments included a zebrafish "treadmill," and kids were able to see which fish did best in a race. At the “Drugs from Dirt” station, students learned how soil microbes can give scientists new ideas for how to improve antibiotics and other medicines. At the "Bacterial Life and Art" station, students were able to paint with enhanced fluorescent bacteria onto petri dishes. 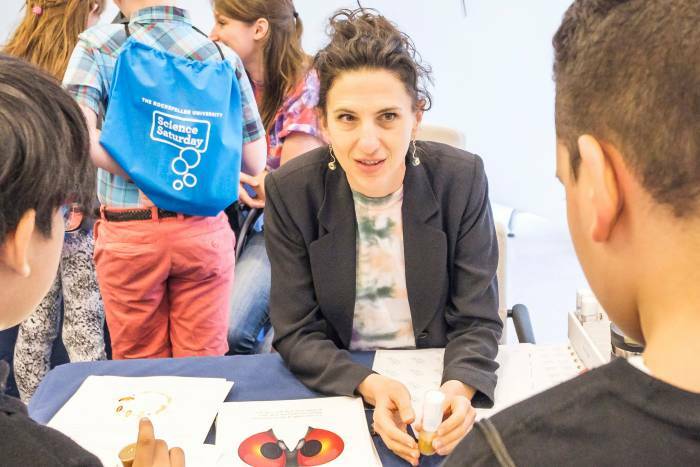 Neuroscientist Vanessa Ruta told kids about fruit flies’ answer to speed dating—an elaborate process in which male flies sample pheromones on females to find a suitable partner. Visitors to her station also got a vial of flies as a souvenir. 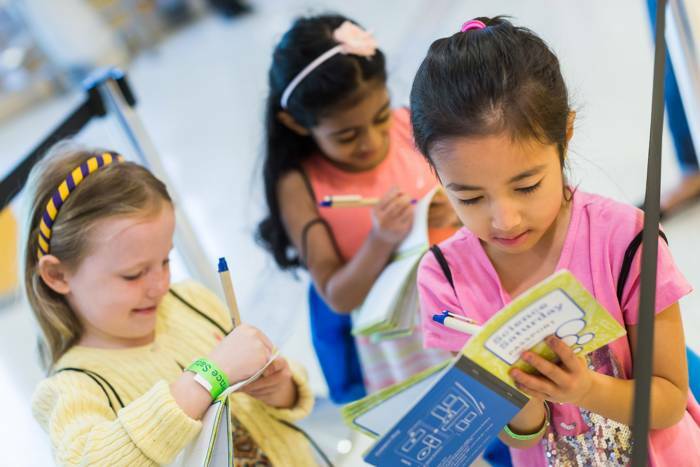 At “The Brainscape,” children explored the differences and similarities of brains from different animals. At the “Biochemistry of Color” station, kids learned how to harvest natural dyes from indigo plants and cochineal bugs, and how chemical interactions with natural fibers create dyed fabrics. 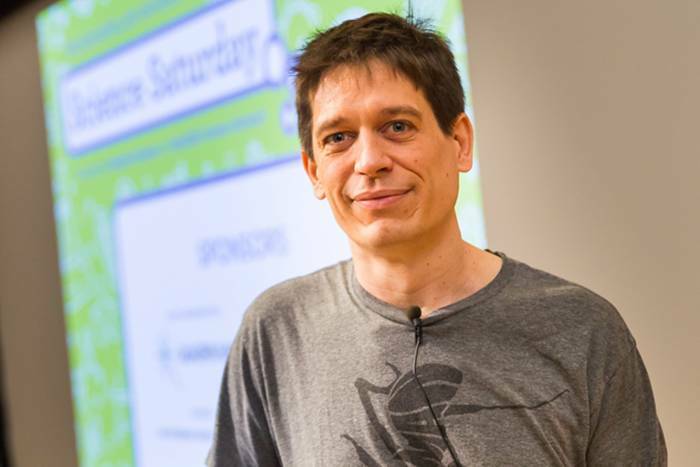 Daniel Kronauer brought students “Inside the World of Ants” during his talk. Scientific talks were designed specifically to engage young audience members. 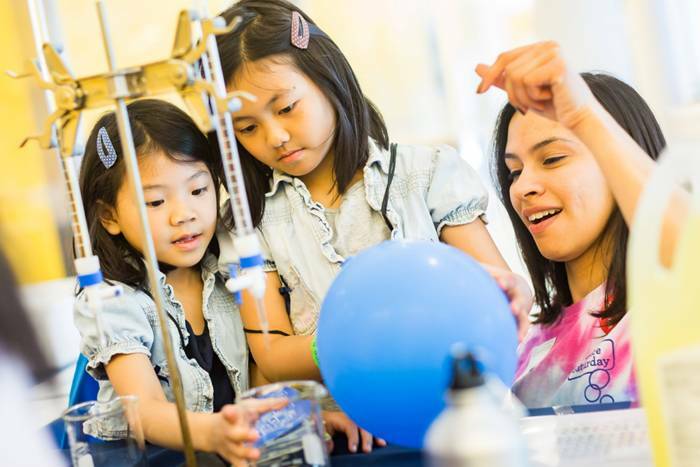 The RockEDU Science Outreach team runs a number of programs to help communities engage with science and science education.